Following the vote of confidence in the Government passed by the Greek Parliament and the completion of the revision of FYROM’s Constitution, the Political Secretariat discussed on the latest developments. The Greek Parliament reaffirmed its confidence in the government to enable it to complete its work, to restore a normal functioning of the economy and strengthen workers’ rights, to put to practice the major political, social and institutional changes that the country needs. In the time left until the end of the parliamentary term as set by the Constitution, that is until October 2019, the Government will implement a series of reforms with a left and progressive sign, and put forward legislative initiatives it has already announced, such as raising the minimum wage and abolishing the “sub-minimum” wage for young, protecting the main residence, but also setting a new framework for the housing policy and settling overdue debts. Moreover, the agreement between the State and the Church will be completed, founding the relationships between the two on new and frank foundations. And, of course, the process of revising the Constitution will be carried on, including, in addition to changing the article on ministers` responsibility, a series of progressive changes in the functioning of the institutions, as well as in securing labour rights and basic public goods. In the new era, however, opened for the country, exiting the crisis must come along with upgrading its geopolitical role. The Prespes Agreement is a historic agreement which puts an end to the lack of courage and phobic reflexes which have prevailed for decades, to nationalism, to the wasting of precious diplomatic credibility for our country, while at the same time promoting friendship, cooperation, peace between the two States, adding stability to the Balkans, and enhancing the strategic, leading role of our country in the wider region. With the Prespes Agreement, the north of Greece finds itself at the centre of the Balkans again, its role as an economic hub in the wider region of Southeast Europe is upgraded, it becomes a crossroads of trade and culture. It is clear that the Agreement fully responds to the established position of Greek foreign policy, as shaped after the  Interim Agreement, for an erga omnes solution with a composite name which should include a geographical definition. All countries will henceforth recognize our neighbouring country under its new constitutional name, as North Macedonia, while the inaction of previous years has led to the prevalence of the name “Macedonia” without any specification. The Agreement puts an end to irredentism, borders’ dispute, while securing the historical and cultural tradition, respect for the Greek heritage and the culture of ancient Macedonia. It is also explicitly stated that the Macedonian language, which was recognized as a UN language at a 1977 Conference, when the New Democracy party (an EPP affiliate) was in power, belongs to the group of South Slavic languages. The Agreement refers to nationality, that is to say, the legal link between a State and its citizens, and not to ethnicity, which, moreover, could not be subject to an International Agreement, and, furthermore, would be paradoxical, since the very Constitution of our neighbouring country refers to a society described as pluralistic, made up of several peoples. Moreover, its Constitution now states explicitly that citizenship does not define or predetermine the ethnicity to which citizens belong. The same point is clarified, beyond any doubt, in the Note verbale of the Agreement, which is fully binding. In the historical moments we live, every representative of the Greek people should define his/her position, on the basis of his/her conscience, his/her values, his/her vision of the future for society and the country. We all have to set aside short-term petty political expediency and decide in the light of the interests of the Greek people. The Prespes Agreement acts as a catalyst for rearranging the political landscape and redefines in practice the dividing line between progress and conservatism. Between rationalism and paradoxology. Between assuming one’s responsibility for the country’s future and waving chauvinism. We are addressing all those who love their country, every progressive citizen, regardless of political positioning, to every free-thinking person. We are also addressing citizens who so far disagree with the Agreement and we are calling on them to read it dispassionately. We are addressing, in particular, MPs of all sides who, for several years now have been supporting the common ‘national’ line in favour of a composite name and understand how beneficial it will be to the country to solve the problem and how detrimental it will be to perpetuate it. Finally, we are addressing the political forces of the broader progressive spectrum, but also each member of Parliament separately. Aligning with the far-right rhetoric of the New Democracy party on such a crucial national issue is a strategic mistake carrying historical consequences. 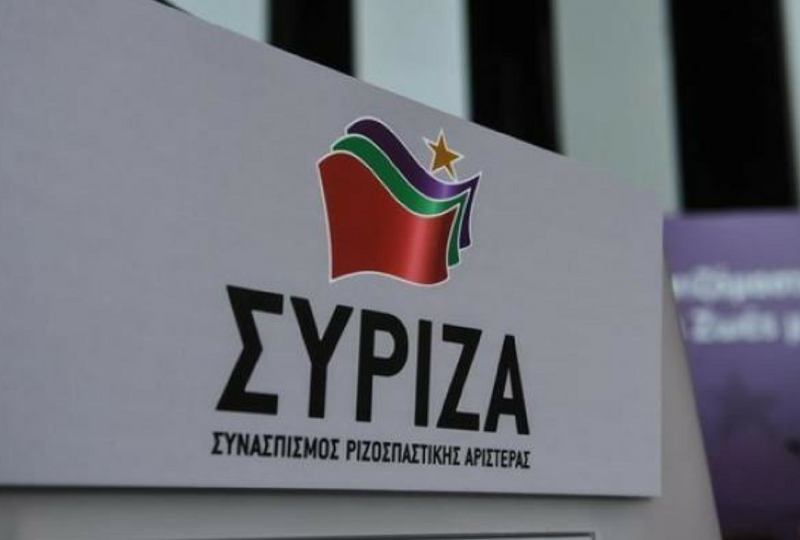 Any differences existing with SYRIZA cannot be an alibi for such a historical error. On critical issues of historical, national importance, we are all confronted with our values, ideas and conscience, but above all with History. And History will either pave the way for progress, or turn its back on our country, bringing it back again to the darkness of conservatism. The choice is up to everyone individually and is a matter of conscience.